Choosing a competent vendor to help you produce your part is a critical step for the success of your project. Let’s examine some of the different types of vendors currently available to source from. Conventional manufacturing is Unless your design is highly niched, extra large in size or requires more than 100,000 parts run at a time, conventional manufacturing, let’s face it, is just too damned slow. You are looking at a 6-12 week lead time, at minimum. And changes to your design or the tool will take even longer. In this faced paced economy where being first to market is the difference between winning and losing, you just can’t afford to go that route. You are probably thinking that China can produce your part faster and cheaper than conventional manufacturing. And you’d be right. But faster than 6-12 weeks isn’t saying much and cheaper goes both ways…pricing and quality. Hidden Fees– often times, shipping costs, duty and insurance are not included in a quote and will be added after the fact. Reduced Quality– it’s been reported over the years that, among other problems, many Chinese manufacturers will reduce part quality to increase profit margins. One technique they might employ is to use a substandard material than the one you specified to save on their costs. Delays– due to logistics and the distances for shipping, delivery can be unpredictable. Copyright– the laws are very different abroad. There is little you can do to protect your design from being copycatted. The bottom line is that you are really going to have to take the extra time to vet your overseas vendor to make sure you are getting what you are paying for. But we know your time is precious. There are some companies right here in the US that specialize in true rapid manufacturing. A true rapid manufacturing company will be able to provide a quote very quickly, will have in-house production capabilities to ensure fast turn-around and be readily available for answering questions. Some companies who claim to be a true rapid manufacturing company are simply brokers. They will take your order within the States and get their Chinese manufacturing partner to produce the mold and parts. No matter what they claim, this sacrifices speed. 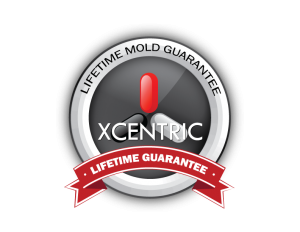 Xcentric Mold & Engineering is a true rapid manufacturing company. Because we understand the custom nature of all projects, quotes that come through our 24 hour, online, interactive quote system are thoroughly reviewed by a highly trained engineer to determine the best possible way to manufacture it. The result is a quote that represents the best possible price for your part and delivered within mere hours. Combined with our on-site, state-of-the-art, fully-equipped manufacturing facility and along with our Advanced Mold Making System and Proprietary Process Engine, we are routinely able to produce some of the most complex parts that other suppliers will “no quote” or request design concessions. We don’t find it acceptable to require that you change your design. After all, the features you put into that part were put there for a reason, right? It doesn’t make sense to us that you remove them. Instead, we’ll do everything possible to think “outside the box” to get the part that you designed manufactured as you designed it. That is what makes Xcentric Mold & Engineering the best choice for manufacturing your project. 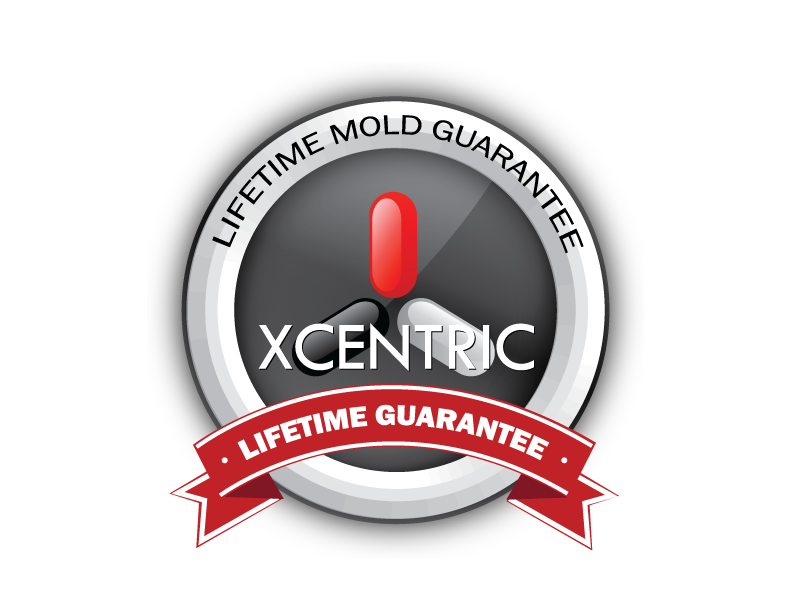 And finally, with our Lifetime Mold Guarantee, we will guarantee your mold for life. That means there’s no quantitily limit for the life of your project. With a onetime, upfront tooling fee, we guarantee that we will supply unlimited part quantities for the life of your project. Start your project off right with the manufacturer who can produce more parts, faster, cheaper and more consistently than anyone else.